Everyone has feelings of anxiety at some point in their life. You may feel worried and anxious about sitting an exam, or having a medical test or job interview. During times like these, feeling anxious can be perfectly normal. But anxiety disorders involve more than temporary worry or fear. Anxiety disorder is a serious mental illness. For people who have one, worry and fear are constant and overwhelming, and can be disabling. But with treatment, many people can manage those feelings and get back to a fulfilling life. Also called social phobia, this involves overwhelming worry and self-consciousness about everyday social situations. The worry often centers on a fear of being judged by others, or behaving in a way that might cause embarrassment or lead to ridicule. This is excessive, unrealistic worry and tension, even if there’s little or nothing to provoke the anxiety. These are intense fears of a specific object or situation, such as heights or flying. The level of fear is usually inappropriate to the situation and may cause you to avoid common, everyday situations. Examine your diet, and watch for caffeine, alcohol, and added sugars, which have all been shown to increase anxiety. A soothing hot bath is always calming, and raising your body heat may help regulate mood and anxiety. For added benefits, stir in some Epsom salts. The magnesium sulfate in the salts has been shown to calm anxiety and lower blood pressure. You can also try adding lavender or vanilla essential oils to your bathwater, to reap the benefits of these calming scents. Exercise will not only make you feel better about yourself, but will flood your body with feel-good endorphins. Some researchers even believe that increasing your body heat, a natural result of exercise, may alter neural circuits controlling cognitive function and mood, including those that affect the neurotransmitter serotonin. Researchers believe this response can boost your mood, increase relaxation, and alleviate anxiety. One study found that people who received a massage with lavender oil were more upbeat and had less anxiety than people who had a lavender-free massage. Another found lavender massage can even lower systolic pressure the top blood pressure number that’s associated with stress. Try putting a few drops of lavender essential oil on your pillow or in your bath, or add a few drops to a cup of boiling water and inhale for a quick calm-me-down. A short 15 minute break will not only take your mind of stress, but also let you reap the benefits of outdoor activity. And the greener the better, one Japanese study found that people who walked through a forest for 20 minutes had lower stress hormone levels after their walk than those who took a comparable walk in an urban area. 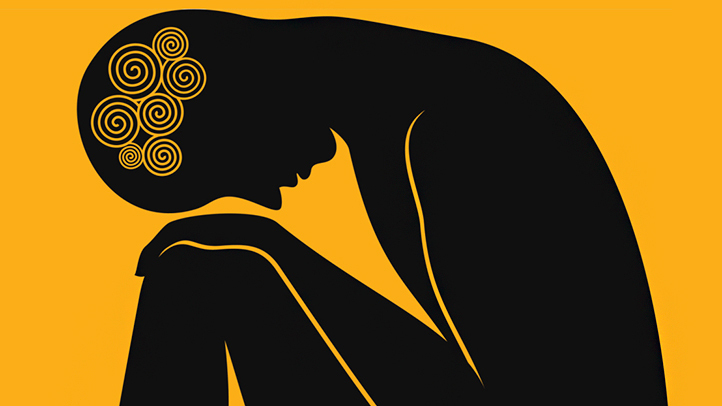 When you’re attacked by anxiety, it’s easy to get into a mindset known as “catastrophic thinking” or “catastrophizing.” Your mind goes to the bad terrible really horrible just unbearable things and what if they really do happen? “You think, ‘This could really ruin my life,'” says Dr. Ramsey. Instead, take a few deep breaths, walk around the block, and consider the real probability that this problem will really spin out into catastrophe. How likely is it that you’ll lose your job, never talk to your sister again, go bankrupt? Chances are a catastrophic outcome is a lot less likely than you think when you’re consumed with anxiety. “Very few events really change the trajectory of your life,” says Dr. Ramsey. In spite of the name, this herb won’t help you in love. It’s a sedative; the German government has approved it for nervous restlessness. Some studies find that it can reduce symptoms of anxiety as effectively as prescription drugs. It’s often used for insomnia.